To a property, water damage can be deadly. In 2017, insurance payouts for water damage totaled $13 billion, with the average claim cost hovering around $10,000. The insurance industry isn’t sitting idly by as non-weather related water damage threatens homeowners and businesses – partnerships between insurers and telematics providers are on the rise, and don’t just bring benefits to policyholders. As personal lines carriers feel the squeeze on their auto book of business – with the growth of the autonomous mobility space, the Uberification of the driving economy, and an 83% uptick in car insurance rates over recent years – they’re paying more attention to their property book. That challenge also exists in commercial property as brokers, agents, and carriers look to technology to craft more competitive insurance offerings. Enter IoT devices, which enhance an insurer’s value proposition to their client. However, it’s not always easy for insurance companies to wade their way through all of the property telematics solutions available in the marketplace today. That was an eye-opening moment for the Purple Ant co-founder – if he could solve the ROI and user adoption problems, he discovered through discussions with insurance stakeholders that the customer retention outcome would be attractive enough for carriers to adopt this technology. Purple Ant, which bills itself as the property telematics program partner for commercial and personal brokers and carriers, isn’t manufacturing devices. Rather, its team outlines the benefits and costs of taking advantage of the technology available on the market already, validates the business case for an insurer offering this technology to their insureds via a pilot program, and then facilitates the roll-out of the home telematics program, while providing the resources and technology assets, including customer support, to ease this process for the stakeholder. 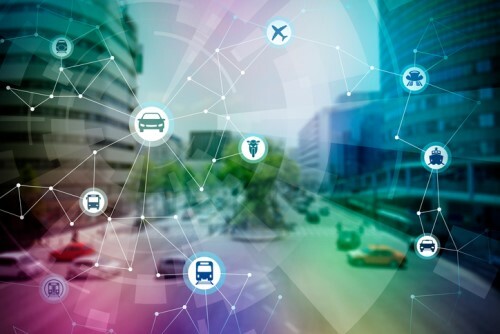 “It’s about providing value-added service so that they can now go to the end customer or business owner, and say, I can provide you a better premium because of this proposition that I have built out around IoT that helps us prevent losses, and improves the interaction between you and us,” said Parashar, adding that the service Purple Ant provides can help insurance companies stand out from the competition, and land new customers. If a business owner is picking between two brokers, and one of them offers a telematics solution giving the business owner peace of mind that water damage will be caught before it spirals out of control, while helping to lower their insurance premium, chances are that the business owner will take their business to that broker, according to Parashar.